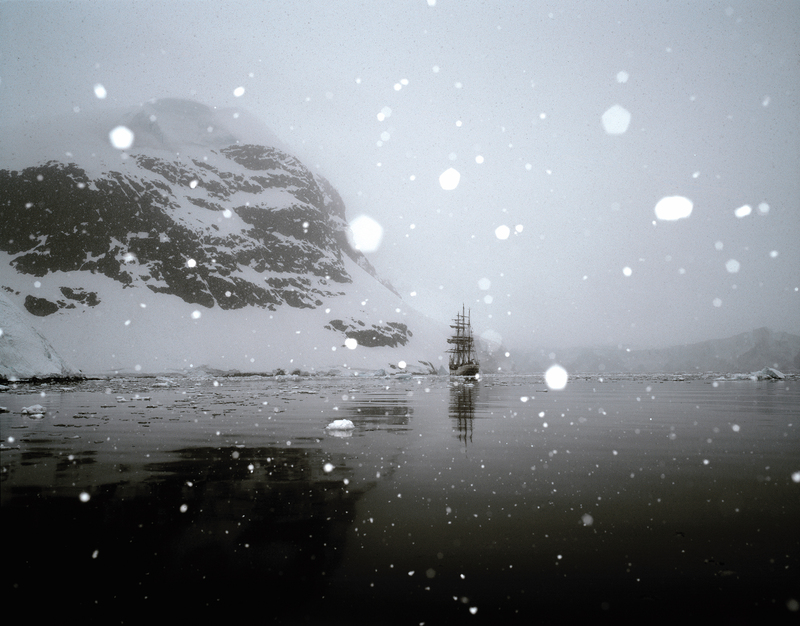 René Koster’s love affair with Antarctica was triggered by his fascination for the work of photographer Frank Hurley, who famously documented Ernest Shackleton’s epic expedition to the South Pole (1914-17). 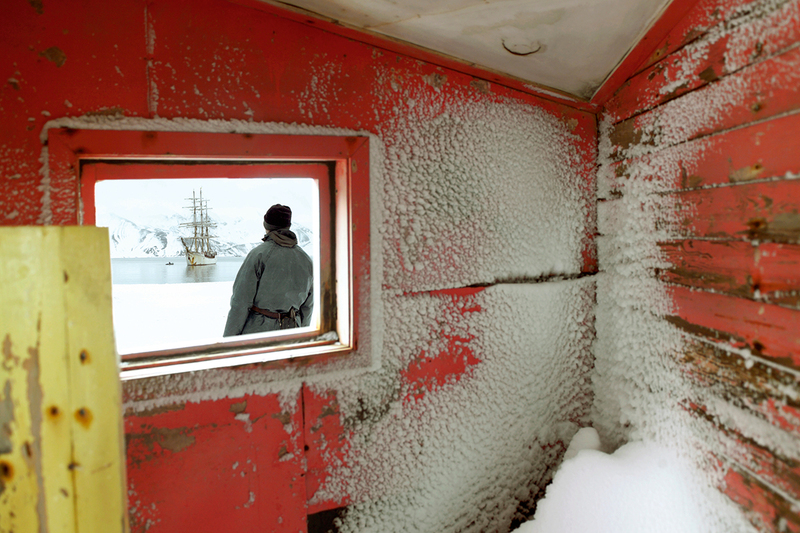 The paradoxical allure of Earth’s coldest and windiest continent led René to take sail on a tall ship, the bark Europa, on a voyage that would cover 1,600 nautical miles after first setting sail from Argentina. While Shackleton’s ship, Endurance, hit disaster when it became marooned on pack ice, fortunately no such calamity would befall René’s German-made vessel, despite it being of a similar vintage – it was built in 1911, the year in which Norwegian explorer Roald Amundsen defeated Captain Robert Scott in the race to the South Pole. 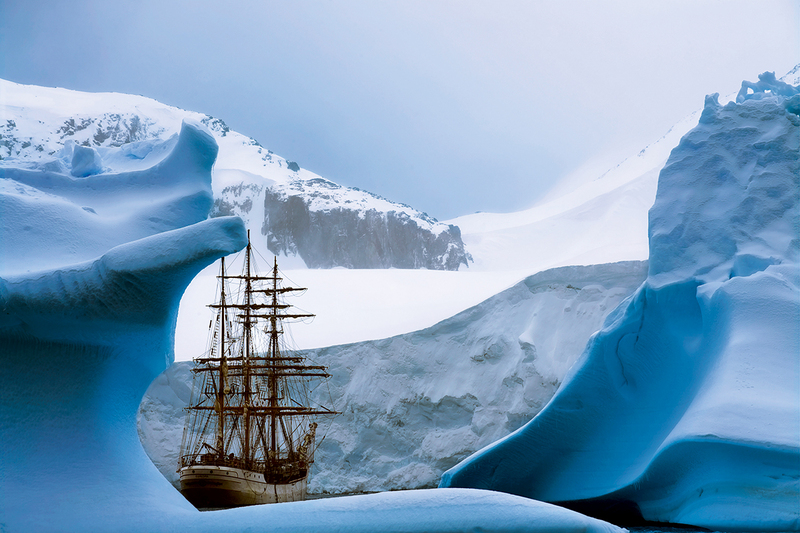 It was Hurley’s photo of the Endurance’s predicament – combined with a keen interest in history and exploration – that set René on his Antarctica venture. ‘Hurley took the photo at night and used a flash. I felt like I was watching a negative,’ says René. Like the most compelling stories from history, René’s images have an enduring quality. Taken in November-December 2004, they first found acclaim when they won an accolade in the Travel Photographer of the Year awards in 2006. More recently, the images experienced something of a renaissance with coverage of the project in the The Washington Post. René worked in digital and film, taking some 2,000 pictures using a Kodak DCS-14N DSLR with Nikon 24-200mm lenses, and shooting Kodak Ektachrome E100VS and E100GX on a Mamiya 7 II. There was also less margin for error when shooting on film, which, René points out, requires a wider knowledge of lighting and exposure. René admits he would have relished being an explorer in a bygone age, citing one of his favourite writers, the explorer Redmond O’Hanlon, who feels he was born in the wrong century. ‘But I don’t know if I would have had the required braveness,’ he muses. 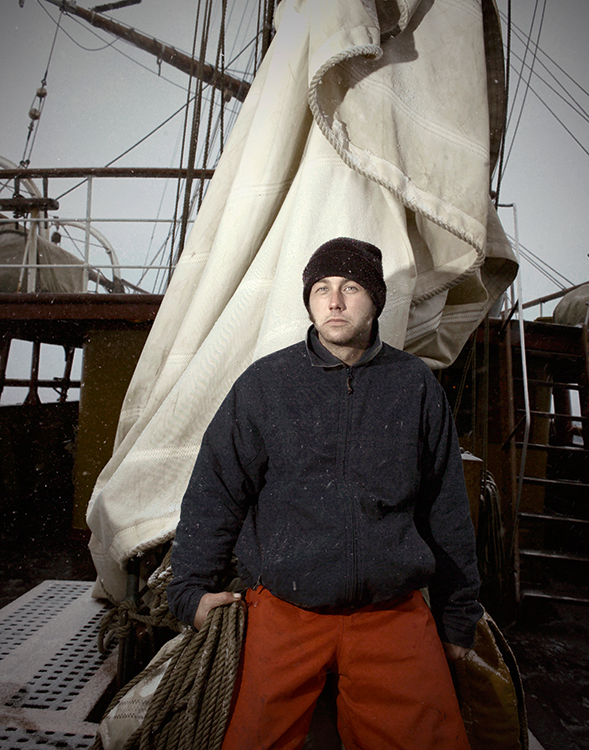 On other expeditions, René has been called upon to help the crew when they are laid low with seasickness. 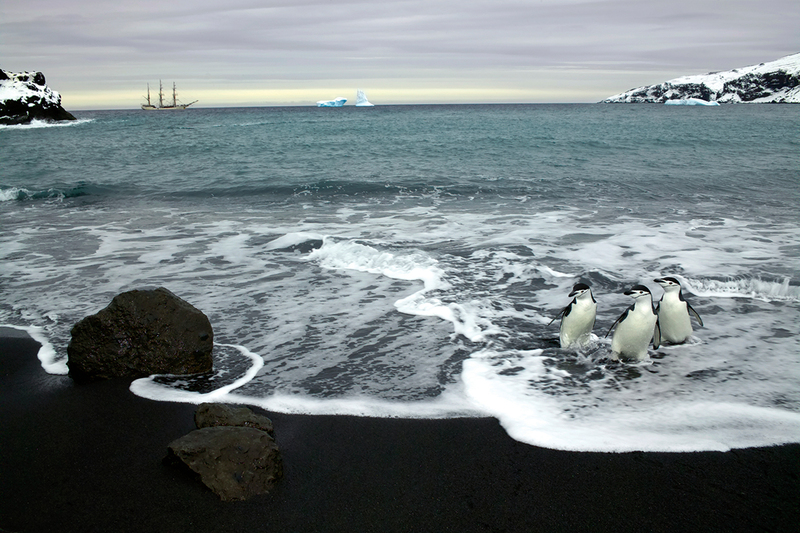 Not so in Antarctica, where he was able to devote all his time to photography – leaving the captain and around 50 shipmates to get on with their jobs as researchers, biologists, journalists and fans of bird and animal life. Photography came with its own risks. Cameras may be weather proof, but batteries discharge quickly in cold weather, so René made sure they were safely tucked away in a bag or coat. To combat his arch enemy – condensation – his favourite accessory became a plastic bag. René’s photography thrives in such extreme climates. ‘The elements enabled me to emphasise the hardships this journey to Antarctica posed,’ explains René, who lives in Haarlem, Amsterdam. René found his ‘own way in photography’ while studying at the Academy of Art and Design St Joost in Breda, the Netherlands. He also drew inspiration from his photographic heroes, including Steve McCurry, Martin Parr, Alex Webb and Sebastião Salgado. ‘I’m also a great admirer of Robert Frank, whose book, The Americans, is so much more than a reportage about a country – it shows the soul of America in the 1950s,’ he says. 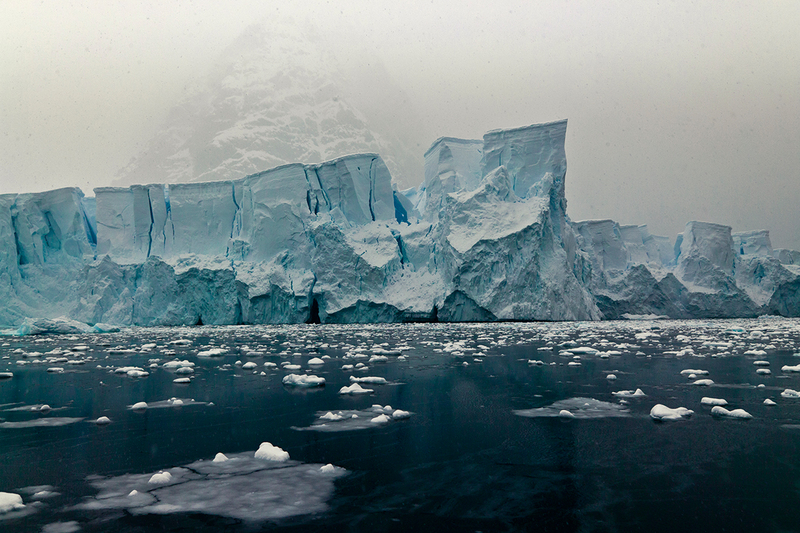 René continues to draw much of his inspiration from the ice-filled outer reaches of the Earth. Last year, he visited a relatively unknown area of Greenland for a magazine shoot, where the ice became so thick he was forced to leave as winter closed in. 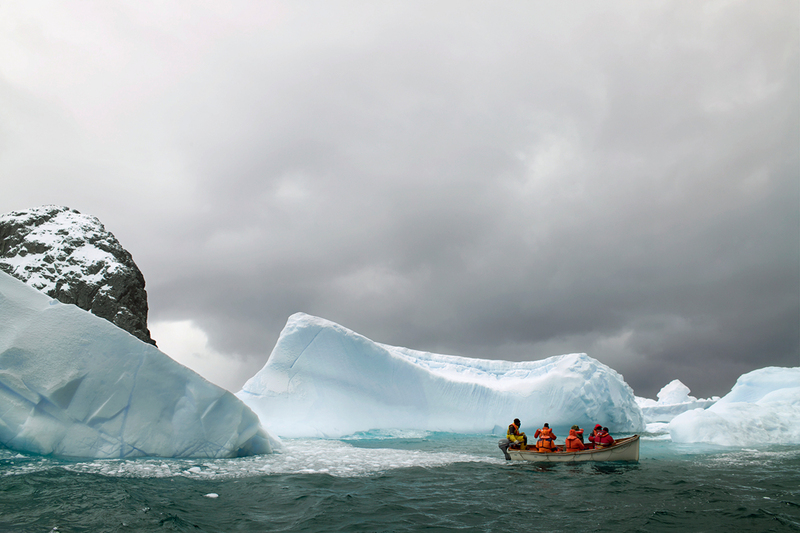 The Greenland terrain, he reflects, was similar to that in Antarctica with its icebergs and ‘desolate places’. Although in the past he has been tempted to warmer climes such as Venezuela and the Caribbean, photography in a cold climate seems to be René’s trademark, leading to more of what he excels at. ‘When you make a reportage about cold areas, everybody assumes that you like it. So, they are always going to ask you to go to all the cold places. I’ve now been invited to Alaska again,’ he adds. René mainly concentrates on travel photography, and although he also does portraiture, he prefers such shoots to be outside the studio. ‘I love working on location and find it challenging to respond to situations,’ he says. Given his past success, René is – unsurprisingly – planning to revisit Antarctica next year, adding South Georgia to the itinerary. This time, though, his focus is likely to be on developing his own story, rather than referencing past expeditions such as Shackleton’s. Whether René will see a transformation in the icescapes on his next Antarctica adventure is unclear. A change of camera kit, however, is more certain. Next time, the weather-hardened photographer plans to ditch film and take more up-to-date kit, including his faithful Nikon D800. ‘Nowadays, digital quality is so much better than 10 years ago, especially when you focus – it’s so good,’ he says. 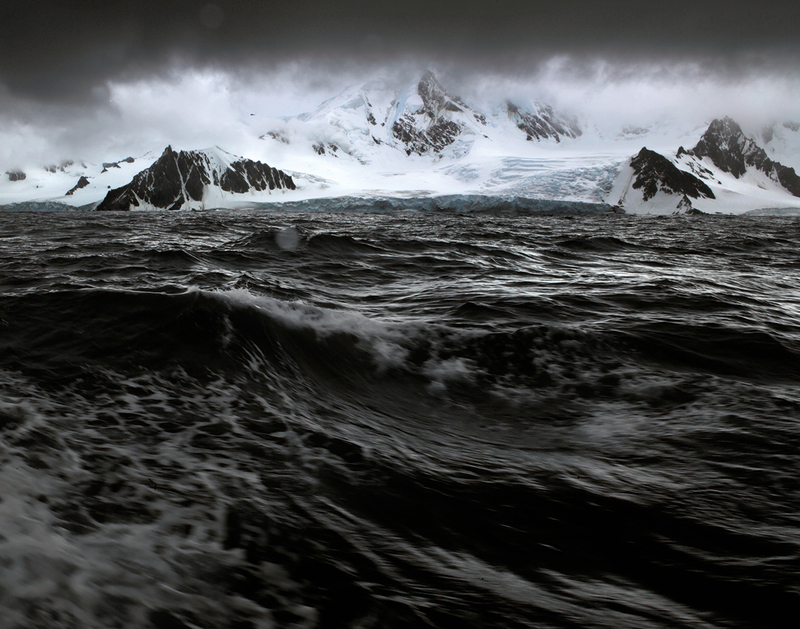 If René’s already stunning images are anything to go by, then we can only wonder what the march of technology will do for René’s next Antarctic exploits.